Mother’s Day is coming up soon and it is time to start planning some surprises to make Mom (or your wife) feel like the most important person in the world. 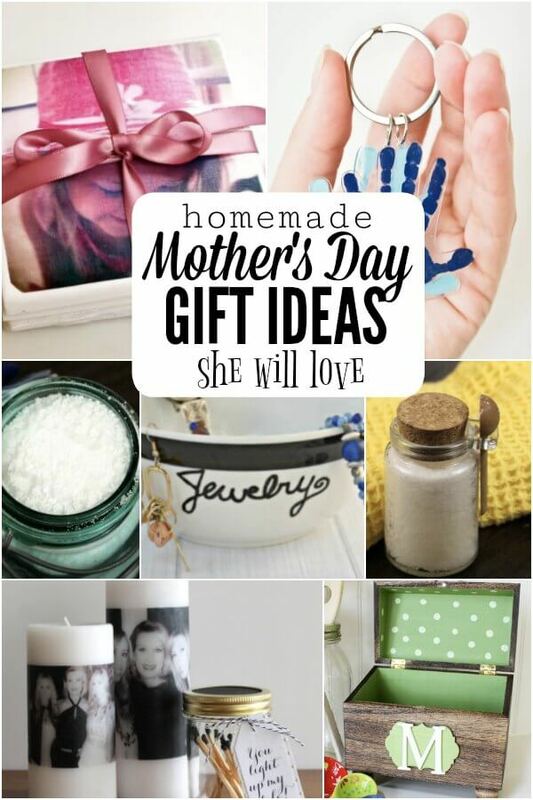 Find the Best Homemade Mothers Day Gifts to make Mom feel special! Don’t let this special day sneak up on you. Get started now with these homemade Mothers Day gift ideas that Mom is sure to love! You are going to love these ideas to make Mom feel loved and appreciated. Don’t forget to wake up before she does and surprise her with breakfast in bed with the help of our 25 Breakfast Recipes for Mother’s Day. Get the entire family involved and it will be lots of fun! If you have little ones who are too young to do crafts, here are 10 FREE Mother’s Day Coloring Sheets that they can color for Mom. If you’re celebrating a Mom Friend, here are 8 Frugal Non-Food Gifts in a Jar Ideas! So many fun ideas! There is truly something for everyone. The day will be so special! You can also find 20 fabulous Mothers Day Gift Basket Ideas for all budgets. I think we’d all have to agree that nothing beats a homemade gift for Mother’s Day! The thought and time put into these gifts mean so much. Mother’s just love homemade gifts. 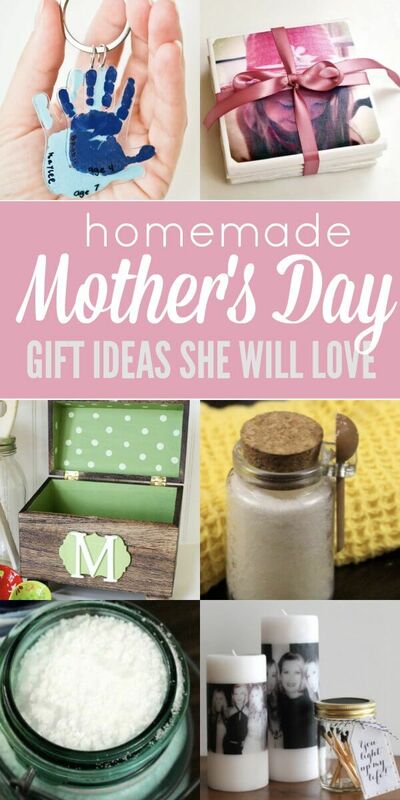 Here are a few Homemade Mothers Day Gifts ideas that you can make. 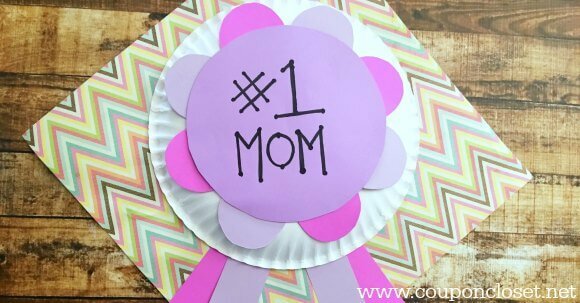 Show Mom that she’s #1 with a Homemade Mom Award. This project is perfect for little ones and would be especially perfect for Moms who are constantly taking their kids to different sports activities. Little kids LOVE picking flowers for Mom. 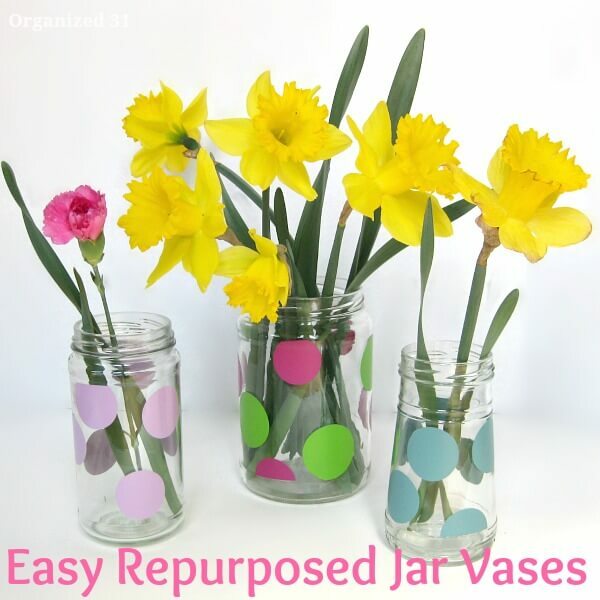 Give her a new and fun way to display those hand picked flowers with an Easy Repurposed Jar Vase for Mother’s Day. This is an easy craft to make with the kids! 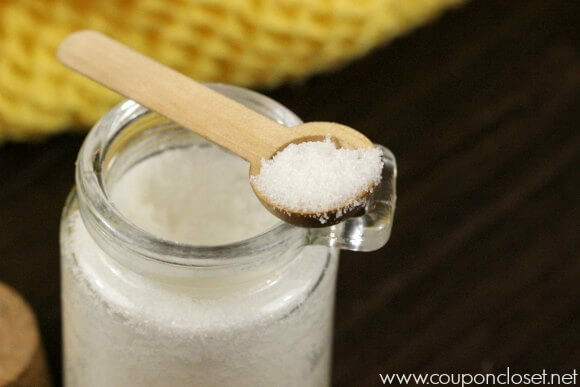 Mom will feel like she’s at her own personal spa if you gift her this Homemade Sugar Scrub. Not only is this gift easy to make, but it smells amazing and is a really unique gift idea. Here’s a gift that can definitely be showed off. 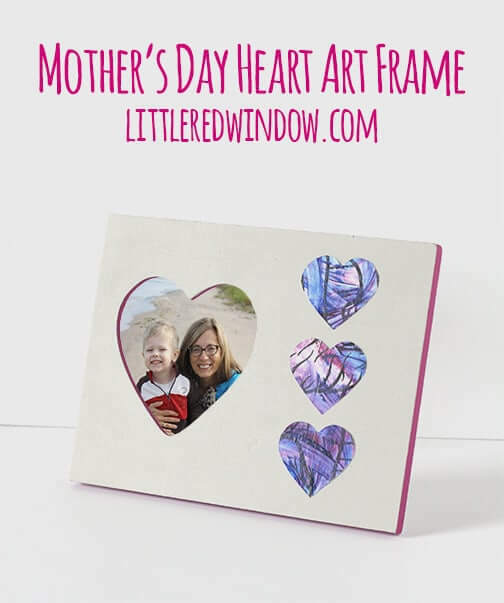 Snap an adorable photo of the kids and then frame it with this Mother’s Day Kids Heart Art Picture Frame. This is a cute way to show off the kids or grandkids in the home or even at work. 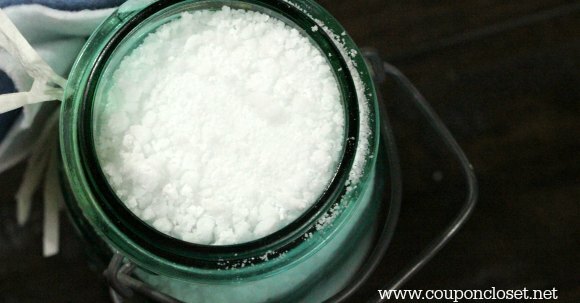 Another way to pamper Mom on Mother’s Day is to make her Homemade Bubbling Bath Salts. This is a cheaper alternative to buying a spa package and she’ll be able to squeeze in some pampering on her own schedule. You can make any scent that she loves! 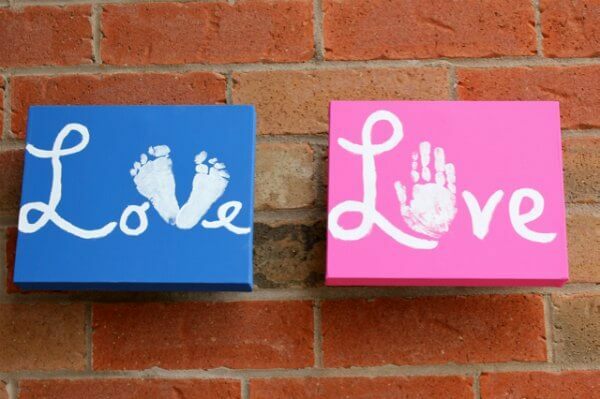 If you have little ones, creating a Mother’s Day Love Canvas is a great craft to make. 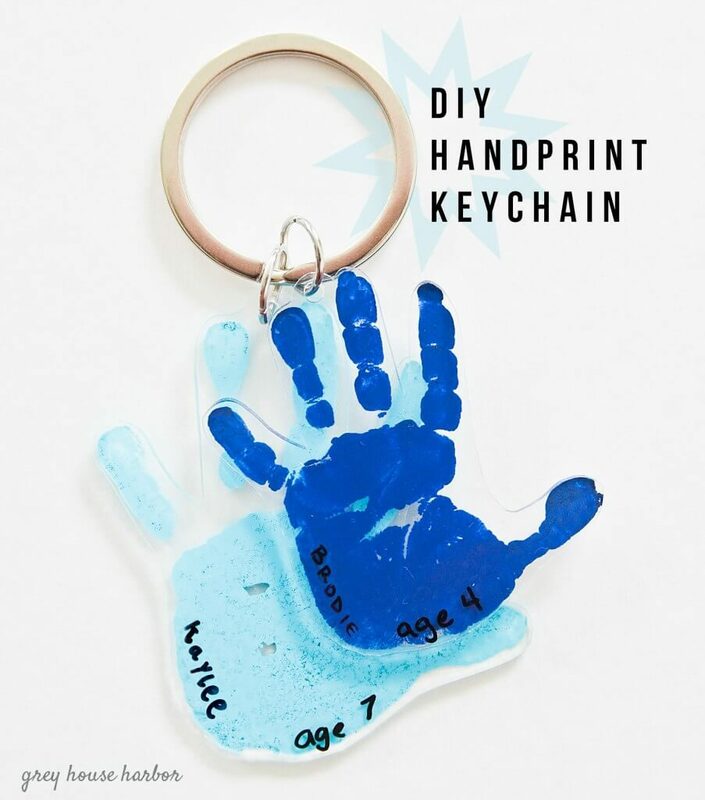 The kids will love putting their hands and feet into paint, and Mom or Grandma will really cherish having those tiny hand prints and foot prints around as the children grow up. 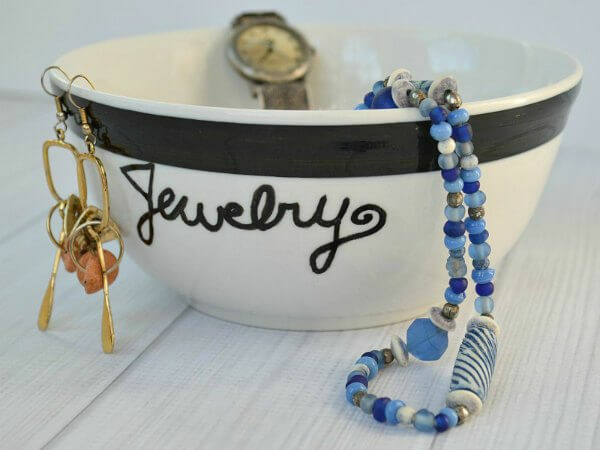 For just a few dollars and a few supplies, you can create a DIY Personalized Mother’s Gift that she can store her jewelry in. Add your own personal touches, plus you can use any color that might match her color scheme in her home. This will look great sitting on her dresser or vanity! 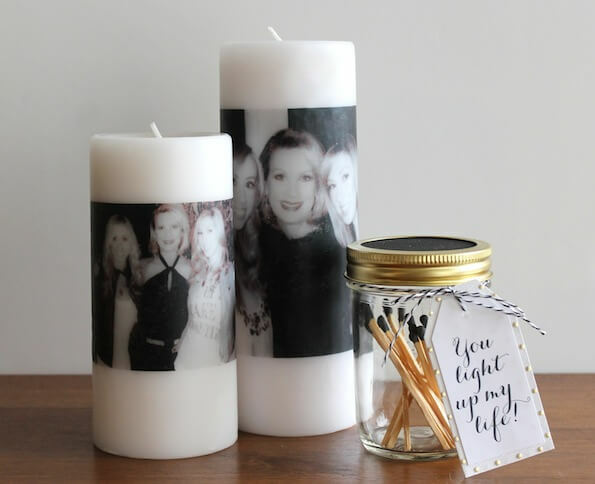 Everyone loves to receive candles as a gift, but how neat would it be to receive a Homemade Candle? You can create a candle in almost anything – a cute mug, a champagne flute, or really anything with a solid base. This is such a unique gift idea! 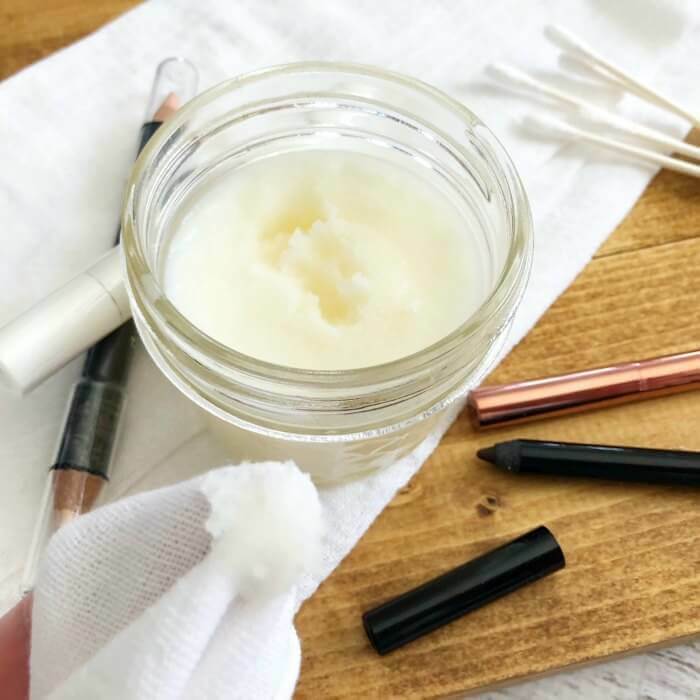 This all natural makeup remover is so simple to make. Mom will love it! Make her feel pampered this Mother’s Day. It’s very cheap to make as well! 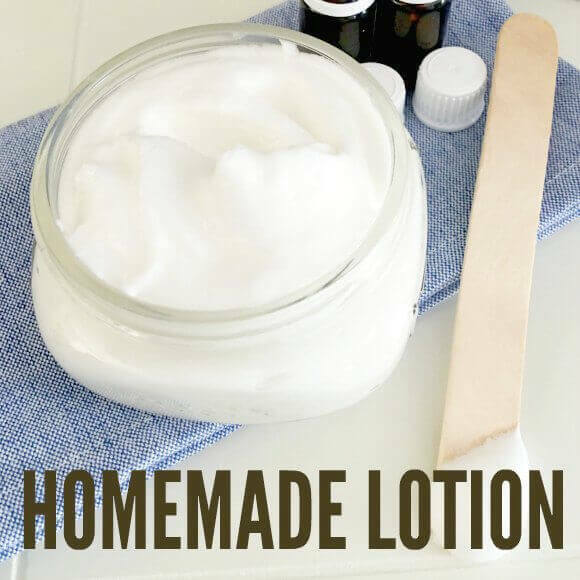 DIY lotion is so amazing! It’s decadent and amazing. Treat mom to this! She will feel so spoiled and loved! 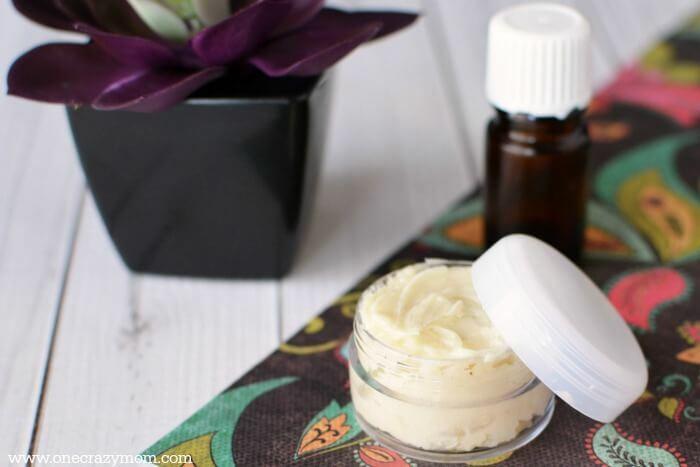 All natural lip balm is very simple to make. Plus, this pretty tint will have mom glowing. 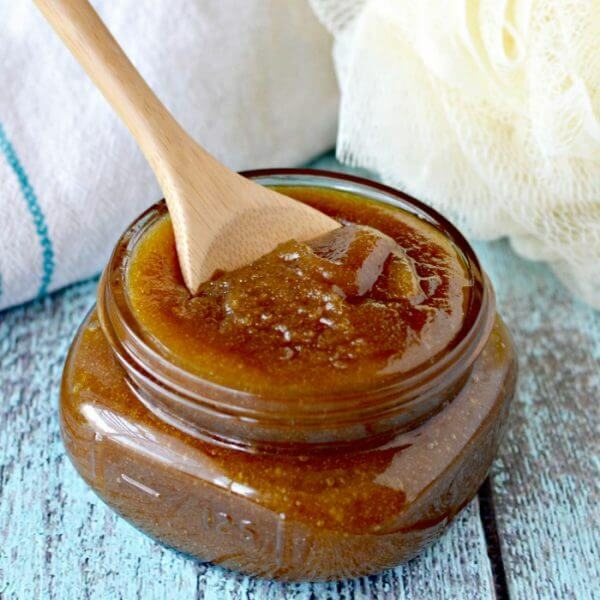 Get ready for Summer with this brown sugar body scrub. Your skin will be so soft. Dry hands will be a thing of the past with this hand cream. 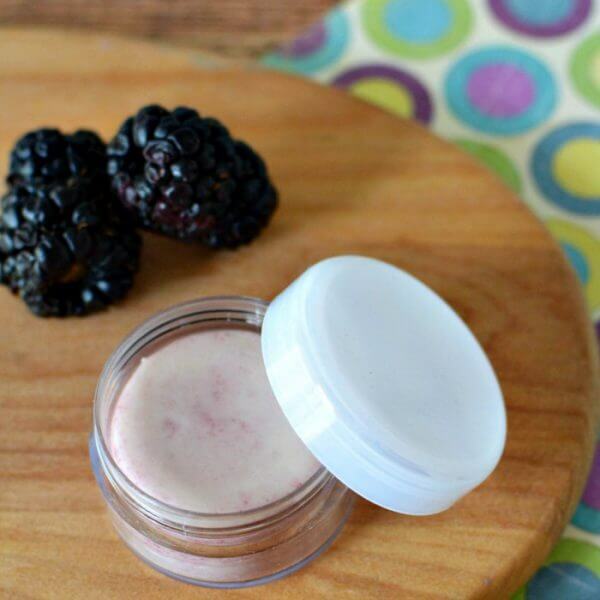 Mom can put this in her purse and have soft moisturized hands on the go! So handy! Use what you have with this fun craft project. Let kids pick flowers from the yard and you will be set. So fun! 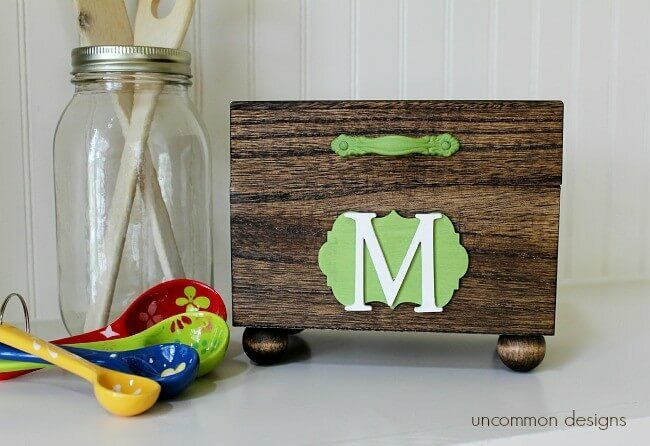 Gather family favorite recipes and monogram a recipe box for mom. This can be passed down from generation to generation. This is such a clever idea and so easy. Mom will love these little hand prints. So precious! It will be her favorite key chain ever! Everyone loves candles and how special with a photo. This will be a hit with Mom or Grandma! It will be so special looking at these candles everyday with precious pictures on them. 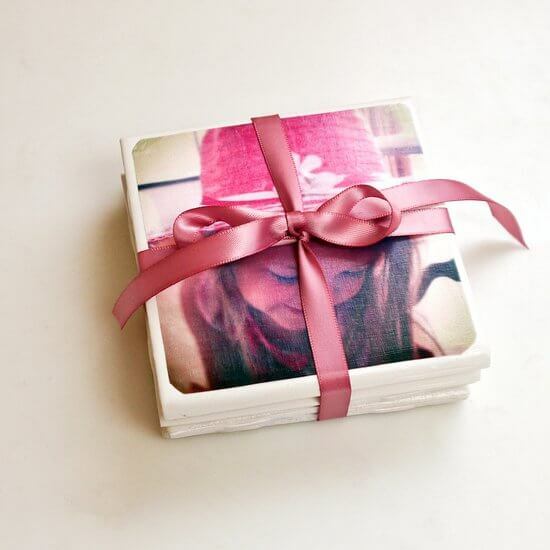 Use tile to make these easy photo coasters. So cool and sure to be a hit with Mom. You could put a picture of each child on a coaster or maybe one of mom and the kids. 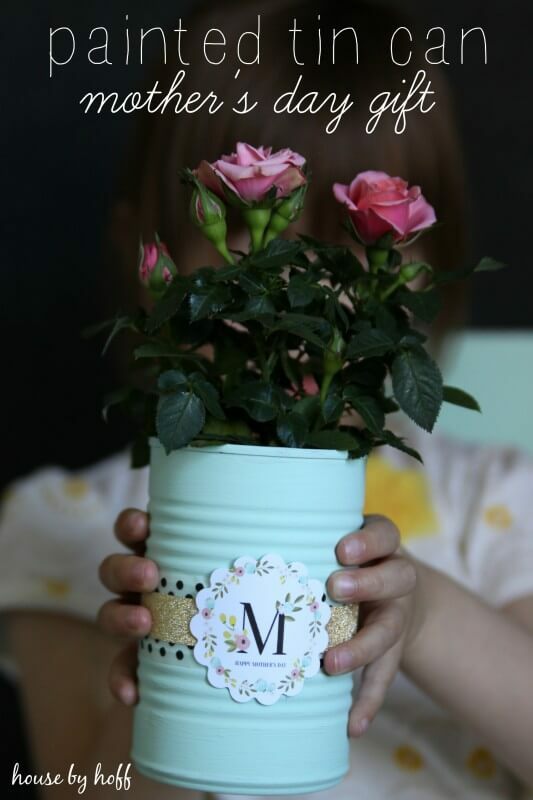 These cute homemade Mothers Day gifts will be a hit! Moms don’t really care how much money you spend on a gift or even how much effort was put into a gift. All that they really want is to know that you thought about them on their special day and took some time to create something for them. 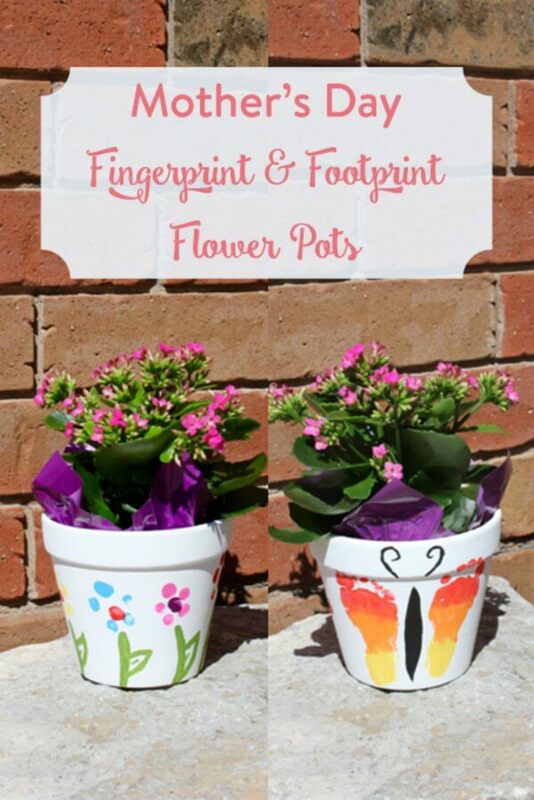 Choose one of the craft projects and make a wonderful gift for mom. Mom loves handmade and personalized gifts like these. 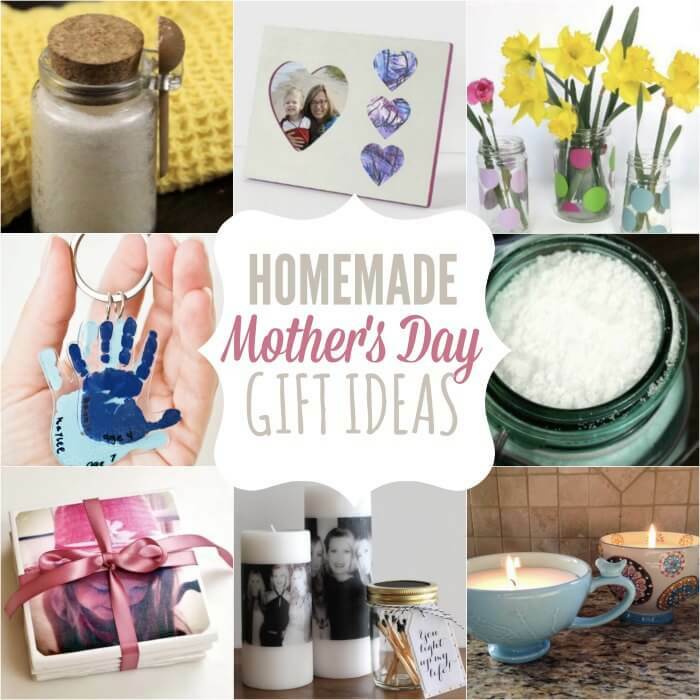 Let us know which of these Mother’s Day Gifts homemade you will be gifting this year! DIY gifts are the best! Another idea is to make mom a cake! Learn how to make a vanilla cake from scratch that she will love! Or make Mom an Ice Cream Cake. Yum! I know whatever you decide to make for Mom, she will love! All it takes is a little time and a whole love of love! Mom will feel so special that you thought about her. Go ahead and print some of these free Mother’s Day coloring pages. These are perfect for the kid’s to color.